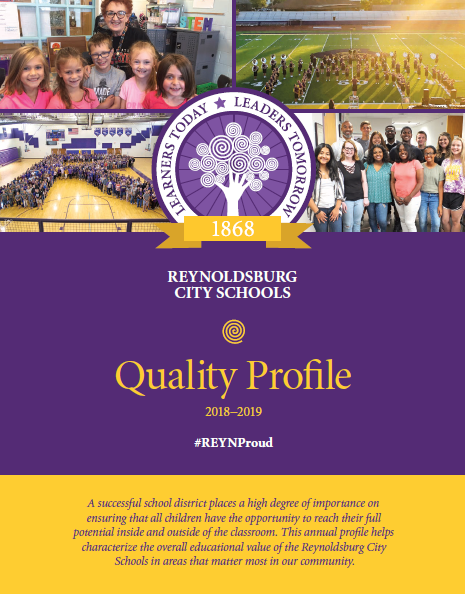 In addition to our State Report Card, this Quality Profile characterizes the overall educational value of Reynoldsburg City Schools in areas that matter most to our community. Please click on the image below to view a PDF of the Quality Profile. Click on the image below to view the Report Card Presentation Chief Academic Officer Dr. Cosgrave presented at the September Board of Education Meeting. Our partnerships with colleges and universities are giving many students a head start on college and career training. Our goal is for 90% of our graduates to earn at least 3 hours of college credit.